Late 1st — early 2nd century. Found in 1740s near the Aventine hill in Rome. 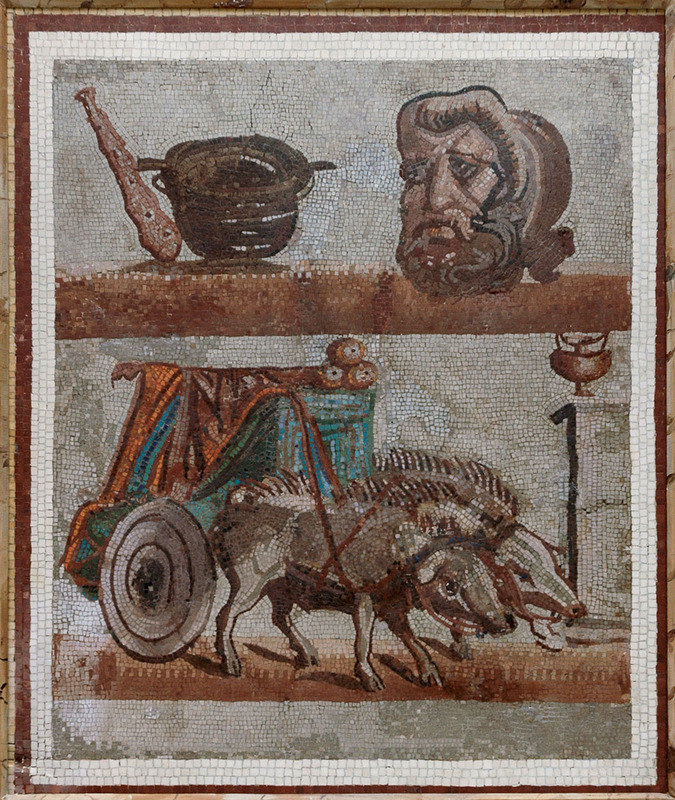 In the top part there are the attributes of Heracles: a club and a bowl for wine, and also a mask of the hero. In the bottom part, on front of cart, harnessed by wild boars there are the mythical gold apples from the garden of nymphs Hesperides, granting the eternal youth, stolen by Heracles. (сс) 2004. Photo: Sergey Sosnovskiy (CC BY-SA 4.0).